Wow! 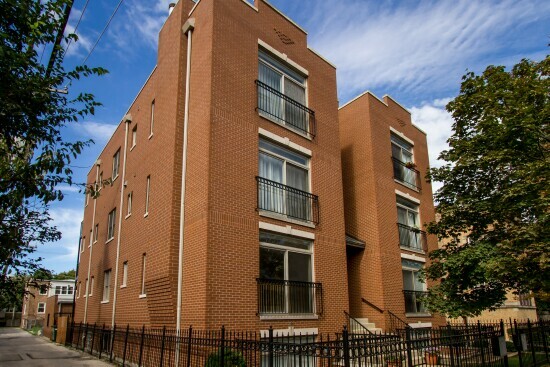 Located in Avondale, this extra wide, 3 bedroom, 3 bathroom duplex lives like a single family home and includes 2 outdoor spaces and a garage parking space. 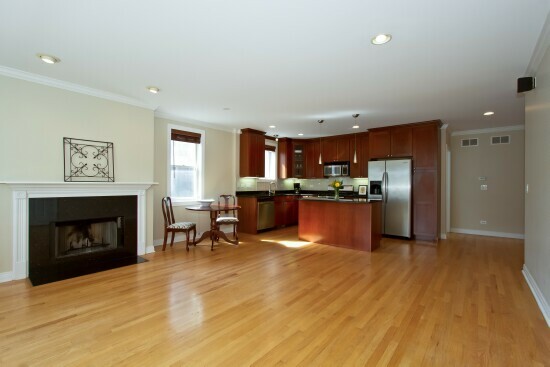 Incredible finishes throughout including a wood burning gas starter fireplace with granite surround, recessed lighting, oak hardwood floors and crown molding on the first floor. Step into the cook’s kitchen that boasts an open floor plan, 42” cabinets, granite counters and stainless steel appliances. 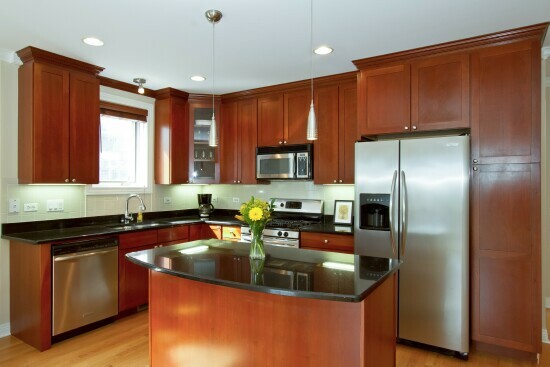 Picture yourself making dinner for your guests while they sit at the large island with pendant lighting. Enjoy the back deck from the hall entrance or from the master suite that includes a full bathroom with neutral finishes that make it easy to provide your own touches. 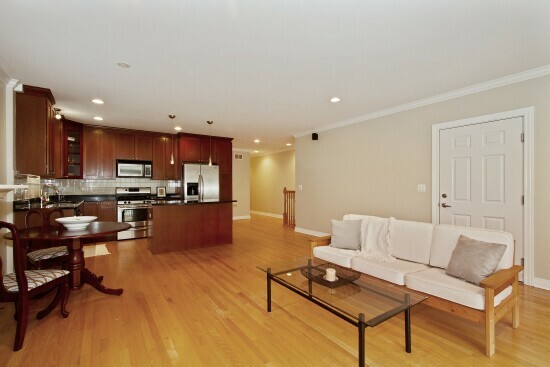 Three spacious bedrooms with high ceilings make the rooms feel larger. 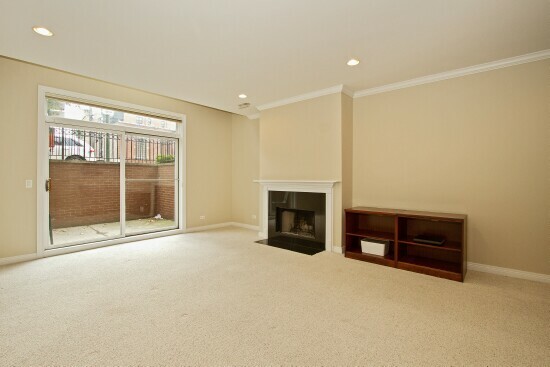 Lower level family room is expansive and extremely light and bright. Here you’ll find another huge bedroom and full bathroom along with a wet bar and your second wood burning gas starter fireplace for those cozy nights. Coming home will be a pleasure when you make this your home today. Oak hardwood floors, recessed lighting, wood burning gas starter fireplace, crown molding and massive windows are just a few of the highlights in this living area. Kitchen features hardwood floors, 42” cabinets, granite counters and stainless steel appliances along with a large island with pendant lights and room for additional seating. 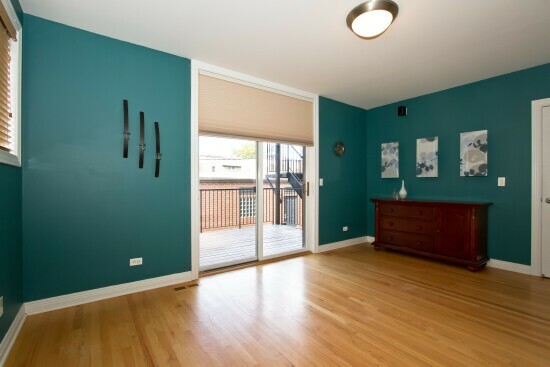 Oak hardwood floors and glass sliding doors that lead to your private deck are featured in this master suite. 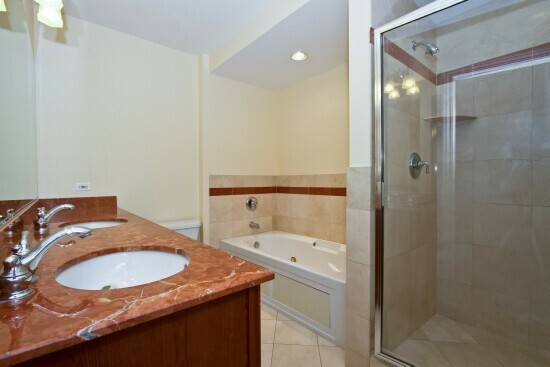 Marble flooring, 6′ Jacuzzi tub with marble surround, walk in marble shower, euro height vanities, 3/4 granite counters, under mount sinks and Moen fixtures are featured in this full bathroom. 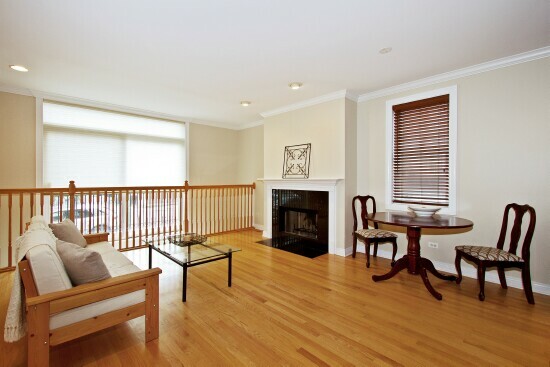 Oak hardwood floors, tall ceilings and large windows in this generous sized 2nd bedroom. 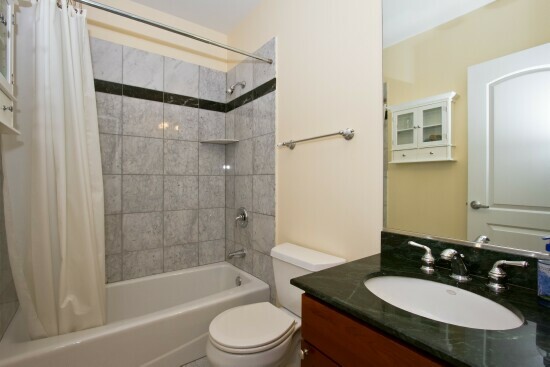 Full bathroom for the 2nd bedroom, features marble walls and flooring, cherry cabinetry and granite counters, Moen fixtures and a cast iron tub. 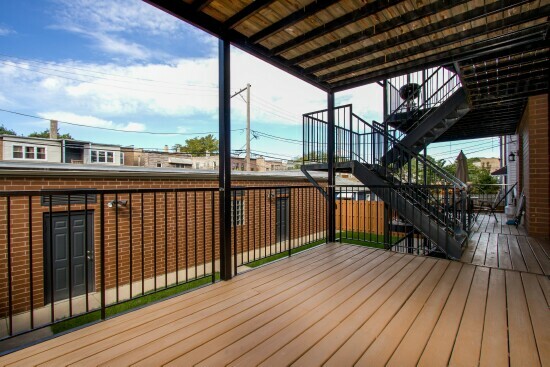 Access this deck from the master suite or from the hallway, great place for grilling or just relaxing. 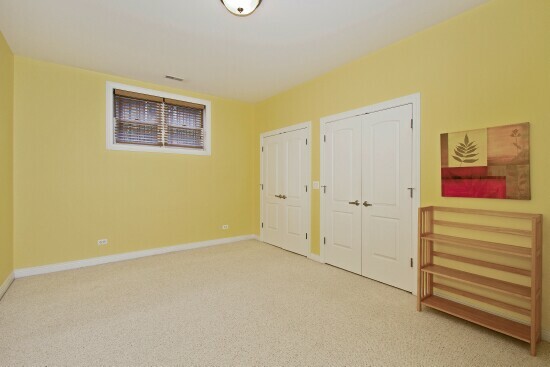 Wow look at the size of this room. Complemented by the fireplace, tall ceilings and a wet bar with Cherry cabinets and granite counter, the huge family room provides glass sliding doors that lead to the 2nd outdoor area for this unit. 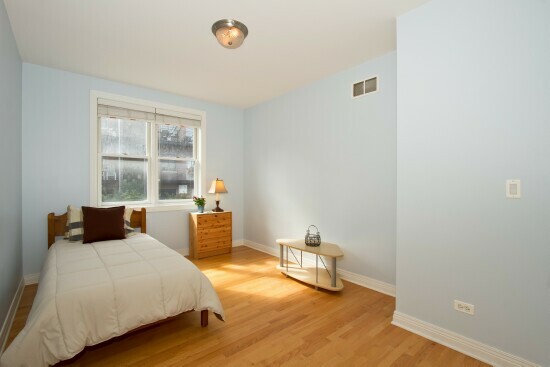 Bedroom 3 is bright and spacious has plenty of closet space and is located on the lower level. 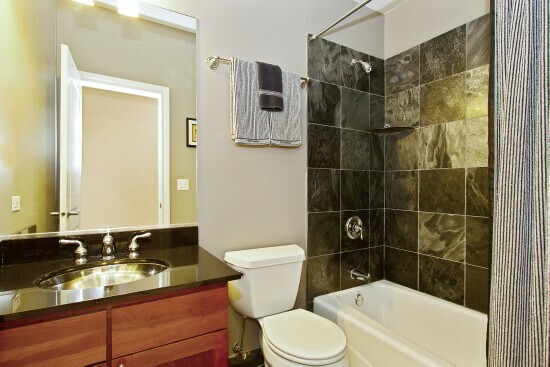 Lower level full bathroom with cherry cabinetry and granite counters. 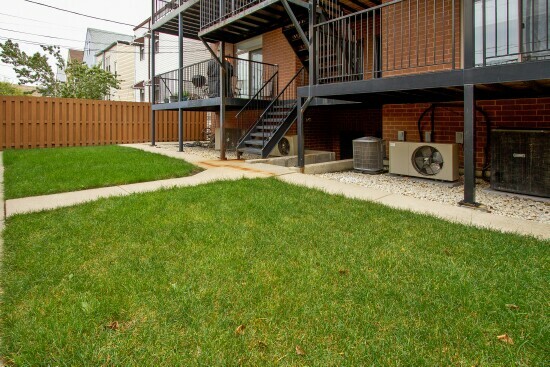 Great fenced backyard for your outdoor gatherings.